Hiro Shishigami plans to basically commit a genocide against the Japanese. Hiro goes on T.V. to broadcast the fact that he is willing to kill all 120 million citizens. He threatens to murder 1000 people daily. 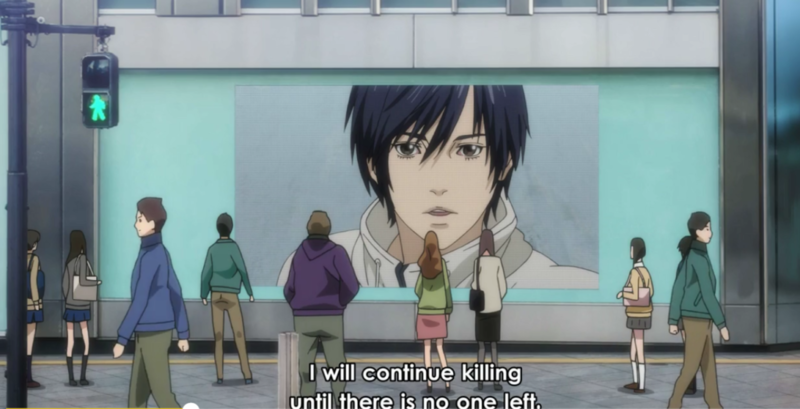 Hiro has followed the same path that Light from Death Note did. Once Light gained the power of the death note he was actual sympathetic even though he was killing criminals without making a distinction between their crimes. However, while Hiro originally claimed he was killing on the basis of establishing a new form of Justice, he has quickly devolved into a mass murder, killing indiscriminately. To prove that he is serious he beings to kill 100 people during the day. He unsurprisingly creates a panic, he then telephones a TV presenter and murders him live while broadcasting. Ando realizes how Hiro is killing his victims, by using his smartphone. Inuyashiki issues a public warning, but due to the public’s obsession with smartphones many citizens risk their lives regardless. This series has criticized our societies dependence on social media and the internet. While, I think the ONE reason people would put their phones down would be if they believed that they would be shot and killed. Regardless, the behavior of seems reasonable, even if you have to stretch your imagination a bit. Ando has been helping Inuyashiki, filling the gap in his lack of techno knowledge likely due to his age. Hiro now knows that Ando is aiding Inuyashiki and he now views Ando as his enemy. It’s larger predictable that they will become adversaries. I predict that Ando may end up being a major death in the series or an surprising hero. Together with Inuyashiki i think that they will ultimately be able to defeat Hiro. His popularity, however, continues to grow as many people begin to admire his horrific actions. 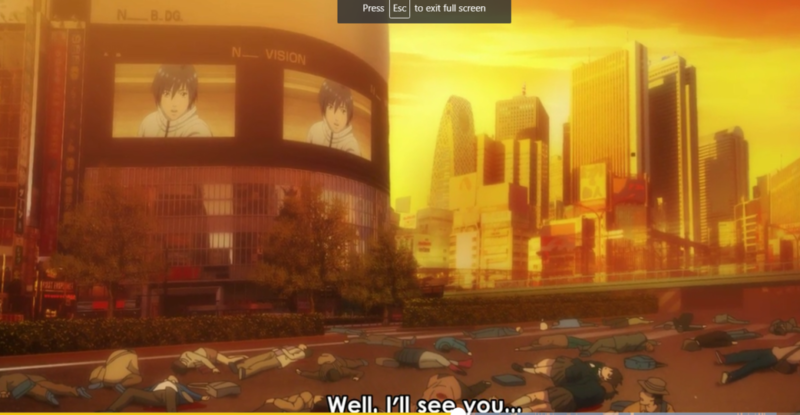 Inuyashiki largely remained in the background this episode, I don’t think he can do that any longer, as Hiro escalated his terrorism by crashing a plane into the city.